With a widespread lack of confidence in the government and financial institutions within the UK, many have been asking why the housing market fell so rapidly and when will it recover? We all know that the main catalyst 2 years back was the problems as a result of irresponsible lending. Experts say that when they base there expectations from the London market place, property selling prices today are in excess of 20 per cent less than at their peak in the spring/early summer of 2007. Some institutions and commentators have announced falls of between around 10 per cent, but based on London alone, these figures are not to be taken as absolute. 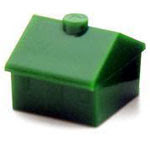 It is believed property values will reduce by a further four to five per cent and this adjustment achieved by early 2009, with very little further movement in values during the remainder of that year and through 2010.We will see a change in the supply:demand ratio for property, and albeit slowly, with increasing levels of activity and transactions as the year progresses. This is already being seen. Lets not forget people will always need to move due to one thing or another. A 15 per cent increase in UK sales transactions is expected over 2008. That’s 100,000 more transactions than 2008 though lets not foreget it’s still 44 per cent less than the transactions back in 2007.